For over 30 years our expert naturalists have led small group tours to some of the world’s most spectacular wildlife and birdwatching destinations. However, birding interest starts at home and there are plenty of wonderful species on our own doorstep so enjoy getting out and about exploring the UK to find our own and transitory feathered friends. Expansion of our UK tours continue - two of the latest trips are outlined below, together with a new tour to Madeira, an unusual opportunity to put the spotlight on moths in France and a couple of our popular long-haul destinations. Join naturalist Barrie Cooper in his home country of Lancashire to experience the migration as wildfowl and waders pass through the North West coast to northern latitudes or southerly destinations. These four day mini-breaks are perfect for visiting some of the UK’s prime nature reserves like Leighton Moss RSPB Reserve (a base for the BBC Autumnwatch series) for photographic opportunities and birding insight. Morecombe Bay and the Ribble Estuary are two of Europe’s most important intertidal wetland areas for migrating birds so you can expect a good show. 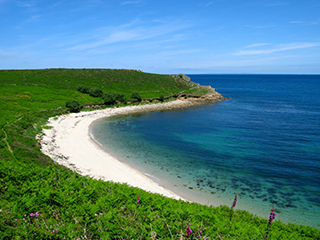 Spring or autumn are definitely the best times of year to enjoy the turquoise waters and white-sand beaches of the ‘UK Riviera’ Isles of Scilly. Spring is when the kaleidoscope of tropical flowers start to come into bloom and autumn shines when the crowds have departed after the long hot summer. Time spent on the islands of St Mary’s, St Agnes and Tresco will uncover a great variety of birds which can include manx shearwater, squacco heron and razorbill in spring and wryneck, bluethroat and Lapland buntings in autumn. Tropical island charm just a short hop away. This short five day break highlights the diverse habitat, rich waters and unique flora of Madeira and its variety of seabirds and endemic species, including the rare endangered Zino’s petrel during the breeding season. Also the chance of spotting the endemic Madeira firecrest among the many species. Visits include the Levada nature walk, part of the Unesco World Heritage Site for its laurel forest, the Pico do Areeiro and the Funchal Ecological Park. Perfectly situated on a whale migration route, Madeira has superb dolphin and whale-watching opportunities where more than 20 cetacean species have been recorded. Our early autumn Dordogne tour should bring good weather and balmy nights - ideal conditions for moth trapping. Robinson traps are set nightly, ready to examine the following morning. Take excursions into the classic oak forest and limestone meadows to participate in exquisite butterfly and birdwatching whilst enjoying this region’s outstanding natural beauty, studded with pretty villages, ancient churches, chateaux and caves. A mobile trap will also be used for these excursions. Enjoy warm hospitality at the cosy riverside Hotel Le Barrage at Mauzac. 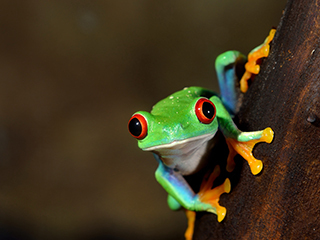 The amazing diversity of birdlife, with more per square km than any other country, makes Costa Rica a birder’s paradise. The spectacular cloud and rainforests, active volcanoes and pristine beaches combine to make a superb holiday destination. Walk high along the beautiful Arenal hanging bridges in the rainforest. Contrast this with the Caribbean lowlands close to the Nicaraguan border and the 430 birds at the private reserve of the Rancho Naturalista birding lodge. Ascend into the oak cloud forests and into the coastal mangroves by boat into the Palo Verde National Park. Costa Rica is not to be missed! From exotic butterflies to a chance of seeing the great blue whale, this two week stay on the beautiful tropical island of Sri Lanka is packed with opportunity. Home to 30 endemic bird species, Asian elephant, leopard, sloth bear and so much more, Sri Lanka offers something for wildlife and bird lovers alike. Visit the distinctive World Heritage Site of Sigiriya for some excellent birdwatching along with plenty of opportunities for birding and wildlife spotting in Udawalawe, Bundala and Yala National Parks, where you may be lucky in spotting lazing leopards draped over a tree boughs.